We offer Biomass System design, installation and maintenance, including wood pellet heating and other biomass heating projects including both domestic and commercial installations. We are in the process of undergoing training to include Air Source Heat Pumps and PV system battery storage solutions to maximise self consumption. We also fit loft insulation. We are specialists in solar PV covering all of Scotland, click to find out more. We are specialists in solar thermal, click to find out more. 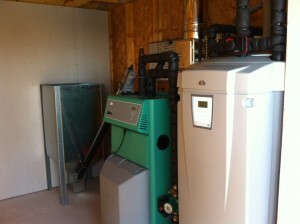 We are local specialists in biomass heating technologies, click to find out more. We are Logic Certified for loft insulation installation to CWL2, CWLIECI. Insulating your loft can be the single-most important energy saving choice you make. Grants are available to cover all or most of the cost, please contact us for details. To find out more about the support and grants for householders, click here to connect to the most update information from the Energy Savings Trust here.